1. Which part of James Town will the festival be held? The two-day festival will take place along a 10-minute walking route on High Street between the Ga Mashie Development Agency [three buildings to the right of the Light House] down to the old Kings Way building [next to Ussher Fort]. 2. Where do I park my car? There is ample parking available inside James Town, particularly any side street or parallel street to High Street. Please note that High Street is a one-way street and will be closed to vehicular traffic on both days of the festival. To see the full schedule of activities over the 2-day festival, click here. 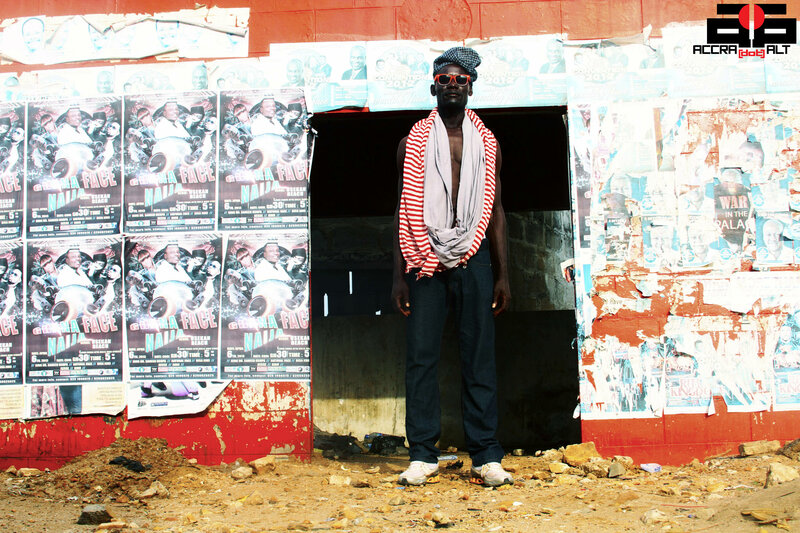 This year for Chale Wote, we’re creating new visions of African folklore. 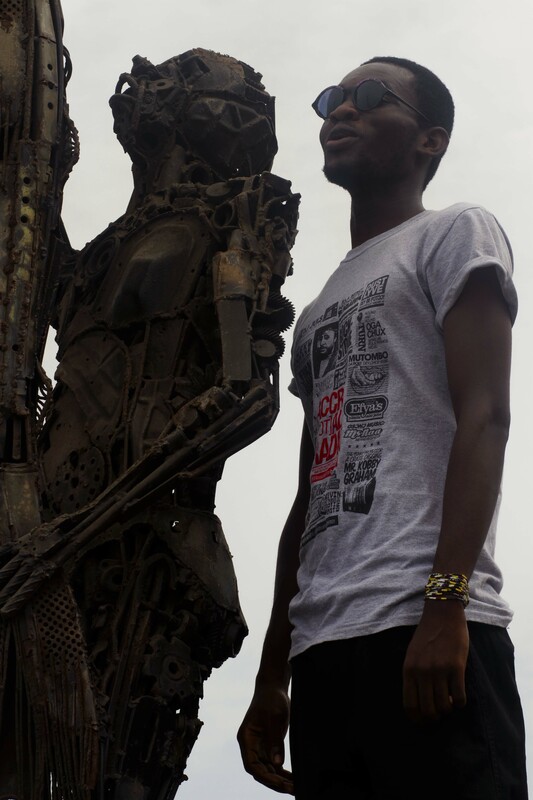 We all will be characters in a compelling set of stories called the Chale Wote Street Art Festival. What character will you be? Dress up in your own DIY costume and party with us in the streets. See you in James Town over the weekend. 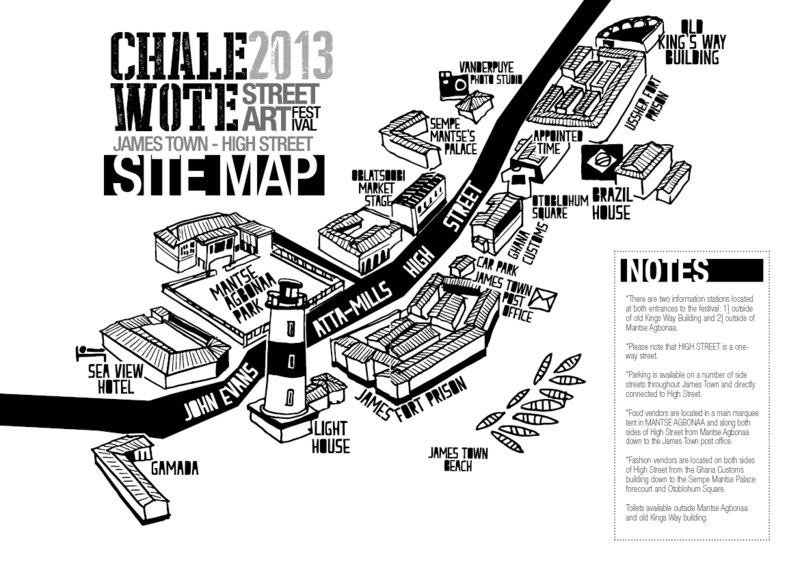 The third annual CHALE WOTE Street Art Festival takes place in James Town on September 7th and 8th, 2013, 10am-9pm [free]. The festival is produced by ACCRA [dot] ALT in association with The Foundation for Contemporary Art – Ghana, the Accra Metropolitan Assembly, Institut Français, Alliance Française, Dr. Monk, No Limits Charity, Absolut Vodka, CitiFM and The Attukwei Art Foundation. 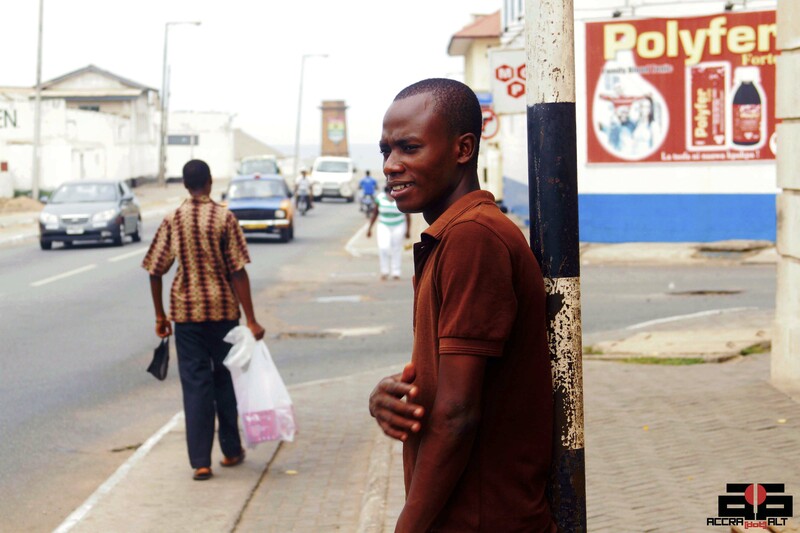 The second edition of the CHALE WOTE Street Art Festival held on April 14th, 2012 was a major success and the collective effort of many young people—ranging from artists, musicians and writers to designers, students and activists—who worked together to produce Accra’s only street art festival. The one-day festival included street painting, sidewalk painting, graffiti murals, live music performances, a fashion circus, extreme sport stunting, experimental theater, spoken word, art workshops and Installations.